Smith Optics is pleased to announce recent sponsorship additions to its fishing market. KETCHUM, Idaho (April 24, 2014) – Continually advocating for life outside walls, Smith Optics is pleased to announce recent sponsorship additions to its fishing market and the promotion of its full collection of watersports-oriented eyewear, including the proprietary ChromaPop lens technology. With new polarized Bronze Mirror and Blue Mirror lens tints debuting this spring in the ChromaPop collection, avid fisherman and guides are able to have a more optically precise and color optimizing experience on the water. Announced this week, Smith Optics has partnered with Flats Class TV, a saltwalter-angling program that is true to its roots for flats fishing enthusiasts. Flats Class TV host and new Smith Optics brand ambassador, C.A. Richardson, will promote the entire eyewear collection with an emphasis on ChromaPop. “The introduction of ChromaPop is a real game changer for shallow water anglers, delivering sight fishing enthusiasts a significant advantage by giving anglers a pair of optics that create maximum color contrast and definition by eliminating color confusion. Now, an angler can quickly distinguish a single bonefish over sand, a tarpon under a school of bait or a speckled trout suspended over turtle grass in an instant; this allows for quicker more accurate presentations and ultimately better hook up ratios,” expressed an enthusiastic Richardson. 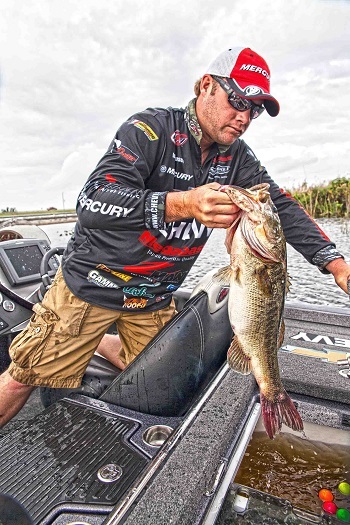 Professional bass angler, Luke Clausen, has rejoined Smith Optics for the 2014 season as a brand ambassador. One of only five anglers to win the Bassmaster Classic (2006) and the FLW Forrest Wood Cup (2004), Clausen has been a long-time fan and user of Smith sunglasses and is especially excited to test and support ChromaPop. "The new ChromaPop lens has improved my vision on and off the water. Objects have more precise clarity and colors are more vivid. When it comes to sight fishing, I know the ChromaPop lenses are helping me see more fish. When I take the glasses off I feel like I am going from an HD to regular-def world," commented Clausen. 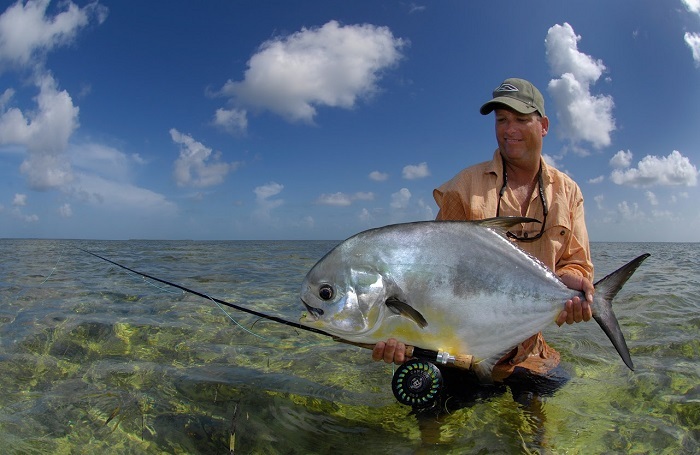 Clausen and Richardson join Bruce Chard, a fly fishing flats guide in the Florida Keys for over 20 years, as key ambassadors for Smith’s fishing program and the promotion of its ChromaPop lens technology and Techlite glass lenses. Specializing in sight fishing for bonefish, tarpon and permit, Chard has become one of the most sought after fly fishing guides in the Southeast while also authoring the upcoming release of his new book on tarpon fishing. Barry and Cathy Beck, guides and trip hosts for Frontiers International and considered “the first couple of fly fishing” continue their long-standing relationship with Smith Optics and the promotion of its eyewear through the 2014 season. To download ChromaPop product imagery click here. Based in Sun Valley, Idaho, Smith Optics, Inc. was founded in 1965 with the creation of the first goggle featuring a sealed thermal lens and breathable vent foam. Today, Smith is known for its diverse line of sunglasses, snow and motorsports goggles, snow helmets, premium protective eyewear and ophthalmic eyewear. Smith’s devotion to excellence, innovation, performance and style has made Smith the choice of action-sport athletes worldwide. Smith products are sold in more than 50 countries through sporting goods and specialty stores. For more information, check out smithoptics.com. Integrate Performance and Style.